So you have decided to study abroad and Sweden is your country of choice. You by now know that Sweden is known for its great cuisine, beautiful landscape, and trend setting pop culture. Though all are great reasons to visit Sweden, the main priority when you arrive will be to receive a great education. Having a great academic life comes with a lot of variables. If you are studying in a different country, you may not have all the essential information to help you flourish as you embark on this exciting new journey. Lets plan ahead and become familiar with what is important when beginning your education in this Scandinavian country. Here are 10 things to know if you plan on studying in Sweden. 1. The different class structures when Studying in Sweden. It’s a great idea to earn both a Bachelors and Masters degree by attending a Swedish university as many of them rank as the best in the world (Karolinska Institute is ranked in the top 50). After understanding what type of program and course you will be studying in Sweden, you may want to know how the class is structured. Depending on where you are from, some differences could include the length of the semester, and the amount of time you will spend a week in class. It could be a major adjustment for some if they expect to meet with multiple classes three times a week, to only end up meeting with a single class a few times a semester. It is also worth knowing many programs will offer distant learning options if that benefits your specific situation. Choosing a school and program that offers the best learning style for you will be a major key to your success and study abroad experience. Like any college decision, the importance of finding the right fit academically is imperative and essential for you to enjoy the best experience in Sweden. Answering the questions of what will you study, and what you want to work with will help you narrow down exactly which list of colleges to select from. Sweden offers multiple options for students to study, including music, technology, and health amongst others. 3. University Culture When Studying in Sweden. Along with the type of university you want to attend, a major factor in your choice of school may be the Universities culture. Do you prefer a large campus with a lot of international talent that thrives on networking like Malmö? 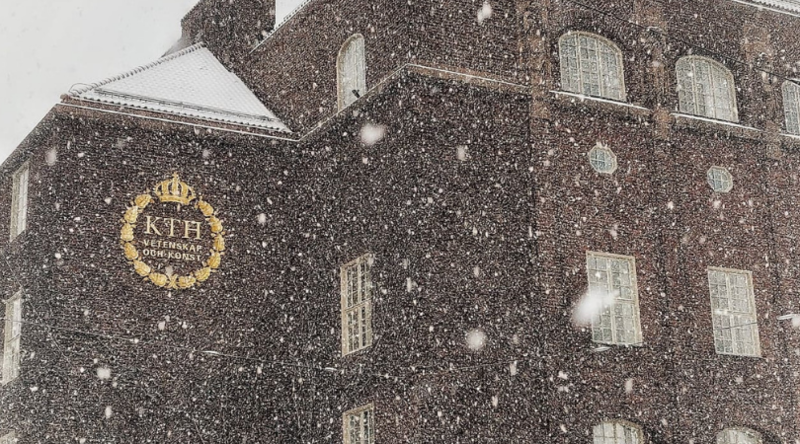 Would you more enjoy attending the prestigious and oldest Swedish university in Uppsala? Would you enjoy attending classes in the Scandinavian capital city of Stockholm? Maybe you are looking for the true college experience that is offered by Lund University and its student activity society known as ‘nations‘. Socially a university may offer you the most of your experience with clubs and on campus activities. However, if you study in Stockholm, the city itself may offer most of the events and occupy your free time. It is also worth knowing that the collegiate sports culture may differentiate from your countries. A bit of research and understanding of how the universities conduct themselves will go a long way in you making a decision, and for when you actually set foot on campus. 4. The Cities and regions of Sweden. Sweden, like most countries, has a lot of cultural differences that are impacted by location. College life as an extension of this will also fit into the same realm. It would be good to know for instance, if you will have to adapt to the busy city life of Stockholm, or the peaceful coastal atmosphere of Halmstad. Choosing a school in the cities of Gothenburg and Malmö will also provide different experiences and interest when studying in Sweden. The region will also have a significant impact on the weather. Some universities have 6 hours of travel time between them, bringing about different weather conditions per region. Not to mention the sunlight! How much more sunshine you see may depend on if you decide to attend school in the north or south of Sweden. 5. The Swedish weather and amount of sunlight. One of the first adjustments people who move to Sweden will have is adapting to the amount of sunlight. If you move to Sweden during the winter, be prepared to experience long periods of darkness. If a student decides to attend Luleå University of Technology, found in the north of Sweden, they may experience only 2 to 3 hours of sunlight during winter. Students attending Blekinge Institute of Technology in the south may see around 5 hours of sunlight. On the flip side, the spring and summer seasons may offer more sunlight than you can ask for. In the north the sun may never fully go down at times. Most of the summer will bring 3 to 4 hours of darkness. In Stockholm one may look up at 3am and see both a glimpse of the moon and the “sunset”. Swedish weather also offers extremes based on the season. 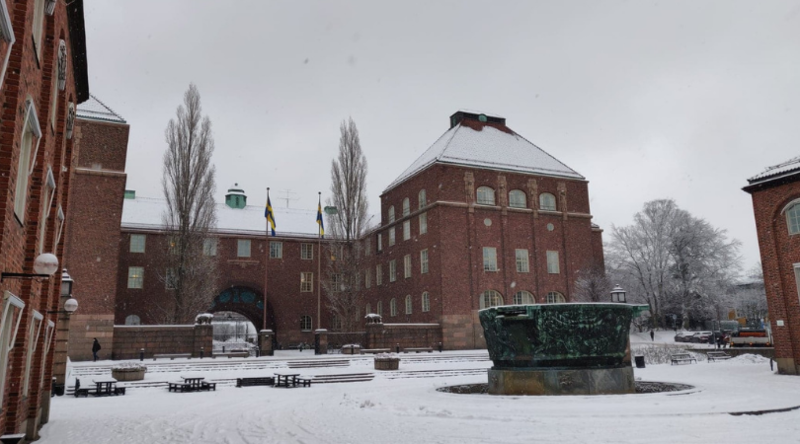 Depending on what climate you are accustom to, understanding Swedish weather patterns could save you some time on both packing and going shopping. Do you own a spring jacket? 6. Swedish Food culture on Campus. Understanding Swedish cuisine and great restaurants is a must for anyone visiting Sweden. But what about on campus? Knowing your meal options can help you plan how you will want to eat during your time studying in Sweden. Check out the different meal plans, cafeterias, shops and nearby restaurants so that you will have a good grasp of what you will be eating to replenish your energy after a hard day of studying. An example of food culture on a Swedish campus can be seen at KTH Royal Institute of Technology in Stockholm. Here most students pack a lunch, and therefore one may find an abundance of microwaves located on campus not typical in other countries. 7. The amount of English spoken by Swedish. Coming from another country, you may have heard that most Swedish people speak English. This is actually true as Sweden is reported as the number 1 English speaking country for a second language in 2018. However, in some places, especially outside of the major cities, Swedes may be less comfortable to speak English. Because some Swedes are not using English as often as others, they may come across as shy and this can impact your social life and possibly your work life. Think about this if you want to venture outside of the comfort zone of your university and think you will want to communicate more with native Swedes while traveling. It is worth knowing that the older generation of Swedes may also be less happy to speak english with you. More importantly researching the course you will take and making sure the class will be taught in english is imperative. Regardless, with universities being such diverse institutions most students will be more than happy to help you integrate into Swedish life and help you learn some Swedish along the way. 8. The Financial aspects of Studying in Sweden. Understanding how much it cost to go to college in Sweden will play a big part in your ambition for studying in Sweden as an international student. Some countries offer an option to go to Sweden for free. It is a great idea to look at university webpages and to also contact their financial aid office to understand how much it cost for you to attend their institution. There are also numerous scholarships for studying in Sweden offered for those with the desire. You should research and take advantage of these opportunities as studying abroad can be expensive. Also understanding cost of living, food, and travel will come in handy. Would it be best to invest in public transportation options, or will a bike suffice? 9. Housing at a Swedish University. Once you arrive in Sweden where will you live? Securing a living space could sadly be the toughest part of attending a university in Sweden. Investigate the different housing options in Sweden for students by contacting the various universities as well as searching online. In Stockholm and Gothenburg housing is especially a bit more scarce so being diligent and assertive in your search is very important. Smaller cities or towns will offer dorms and possibly have access to easier off campus options. It is a good decision to contemplate how the living situation looks and cost before you pack your bags. It may also be beneficial to see who is looking for a roommate on Facebook. 10. Swedish Visa requirements and Admission Deadlines. If you have decided that you want to study abroad in Sweden, the first thing you should know is the application deadline of your college of choice. Most of the universities share the same deadline date so it is important to apply according to which semester you plan on beginning in. Investigate the cost of applications, and all requirements as early as possible so that you are able to apply in a timely and non stressful manner. Getting a student visa for your specific situation will also be valuable to know before you invest money and time in planning to attend a university in Sweden. This is a big factor in relieving stress when it is time to renew the visa and when you are accepted into your Swedish dream school. Sweden is a fantastic option for those wishing to study abroad while pursuing higher learning. One can find it to be a very fulfilling experience as they have the option to be in a foreign country. Studying abroad often allows students to get out of their comfort zone, find themselves, and learn things they never thought they would. Earning a prestigious degree from a renown Swedish University will also be worthwhile when it is time to pursue a career. For those wishing to embark on this adventure, a bit of research and planning will go a long way in this promising endeavour. If you are looking for the answers to some of these questions, a great resource can be found on Study in Stockholm . Study in Stockholm offers a lot of information for foreigners looking to attend universities in Stockholm, along with information about studying in Sweden as a whole. This can be a very great resource as they enjoy helping international students reach their goals and potential.